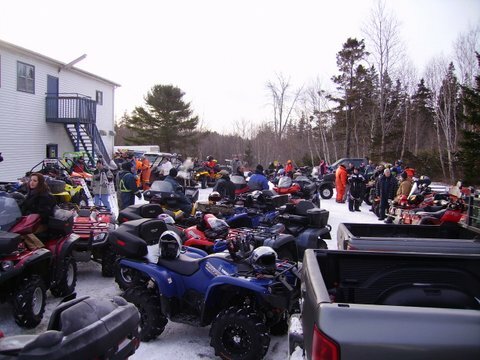 Last Saturday 851 registrations were accepted at the Chester Basin Legion to enter the Fish and Chip Rally. There were approximately 1000 machines went through the trails and approximately 1400 people entered the canteen area. Chester Basin Legion served 360+ breakfast that morning. Despite the icy conditions I would like to thank all the outdoor enthusiasts who supported us in our Fish and Chip Rally that was held on January 24,2015. We registered 863 machines plus some extra hands with an estimated amount of 1200- people in attendance coming province wide from Yarmouth through to Cape Breton. We also had travellers from PEI and New Brunswick this year. I would like to add a Special Thanks to the RCMP whom assisted us throughout the rally, especially with the little setback at the beginning (ice area) and assisting us to keep the rally moving. Wow ! I am not sure where to start. I would like to express our appreciation to the Landowners for letting us use the routes to put this rally event on, without them it would not be possible to hold this community event. 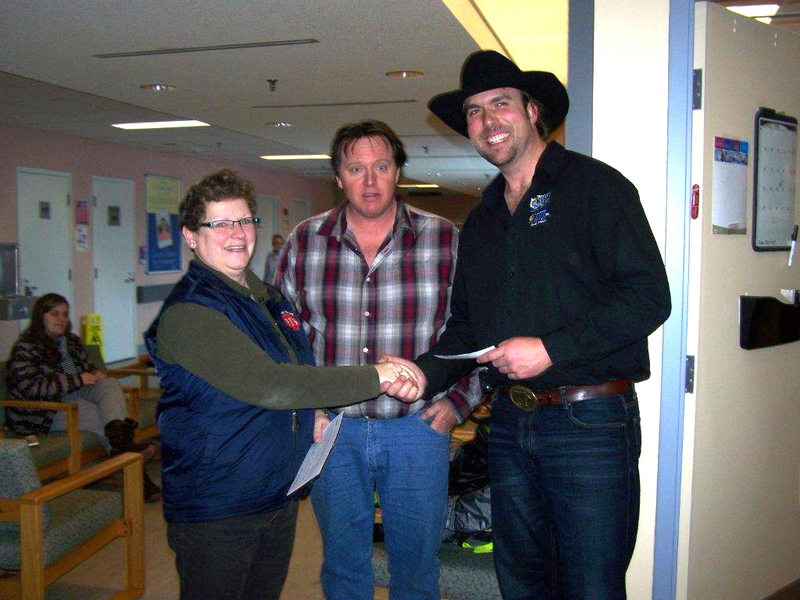 Thanks again to everyone who took part in the 2014 rally...because of you, we were able to donate $1500 of the proceeds to South Shore Regional Hospital. Nancy Wentzell, President Shore Riders ATV Club---- Vice President Terry Bruhm and Radio Announcer Hank FM Jonathan Crouse. ATVANS CLUB OF THE YEAR! The ATVANS Club of the year went to Shore Riders ATV Club! Congrats to everyone for their dedication and support of this great club!